Two Swimming pools with a total area of 5600 sq .ft. having all amenities like separate change rooms for boys and girls, shower area, toilets swimming coach’s chamber, audience seating space (approx. 600) etc. Knowledge of Swimming is necessary for everybody as it includes life saving, life guarding and aquatic sports. It is also very good for maintaining physical fitness DPS Vadodara is first of its kind in the city to have two swimming pools for the children. Swimming is a wholesome exercise that helps cultivate the right stamina for a healthy person. 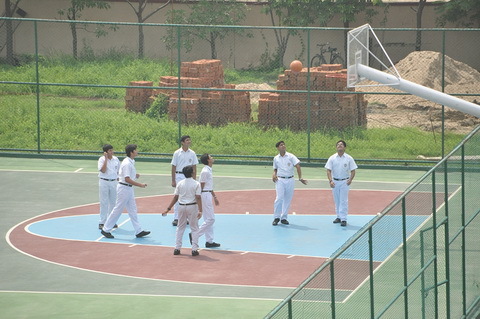 Swimming, at DPS Vadodara, is included as a subject in the time-table. The first pool is for the little ones, up to class three, to rid them of the aquatic fear while the second one is a standard swimming pool for upper primary and secondary students. The swimming classes are guided and supervised by four swimming coaches – two ladies and two gentlemen. Excellent and hygienic water standards at the pool are maintained by way of maintenance of the pools by highly qualified and capable agencies with proven track record of exceptional services. 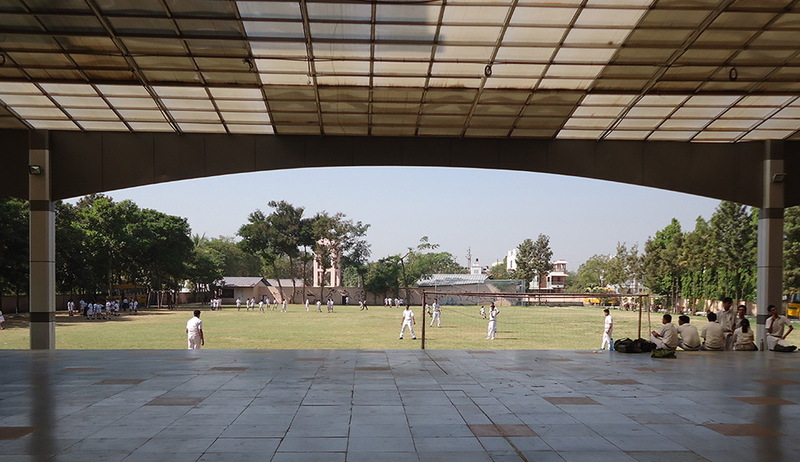 Multipurpose stadium for Lawn Tennis, Basketball and Skating, Cricket/Football ground, Badminton court & Volleyball court. A large expanse of open area fitted with the most modern and best play equipments that serve to strengthen the muscular ability of the children while coordinating their motor skills. All study and no play does not cater to the needs of today's child. 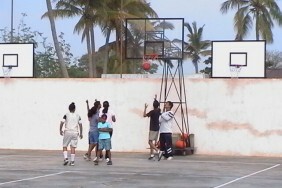 Sports are an important aspect of a growing child. 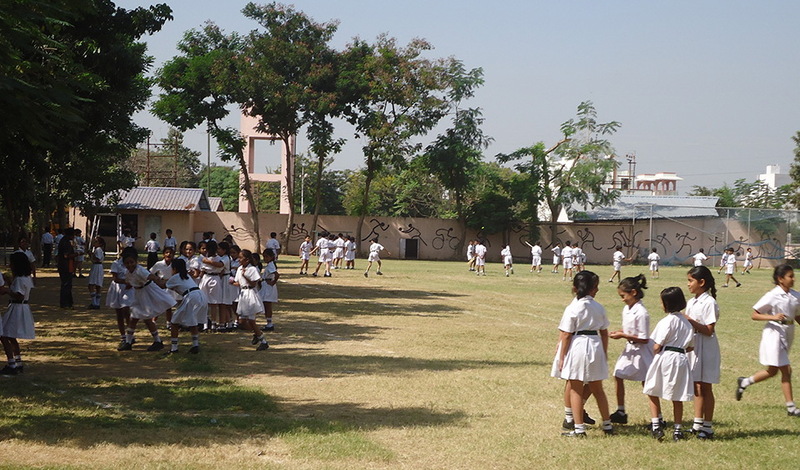 The sports curriculum of DPS Vadodara is designed to ensure student's progressive growth, safety and make the learning process more enjoyable. 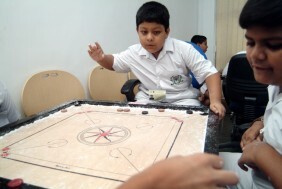 Presently, children are provided coaching in Table Tennis, Carrom, Football, Cricket, Lawn Tennis, Basket Ball, Chess, Skating, Volleyball, Badminton, Swimming and Karate. Sports like Table Tennis and Caroms help children develop concentration, eye hand coordination and focus on the target. Karate as sport enables the child to be self secured, builds confidence level and develops critical thinking process. The rigorous practice and the tough discipline prepare the child to face even the most challenging situations in a clam and composed manner.